Marijuana cultivation and excise tax collections hit $48 million between April and June, state officials announced Wednesday. That's a jump from the prior three months but well below the windfall envisioned by the state. Finance officials had estimated the state would bank $185 million from excise and cultivation taxes in the first six months of broad legal sales, which kicked off Jan. 1. 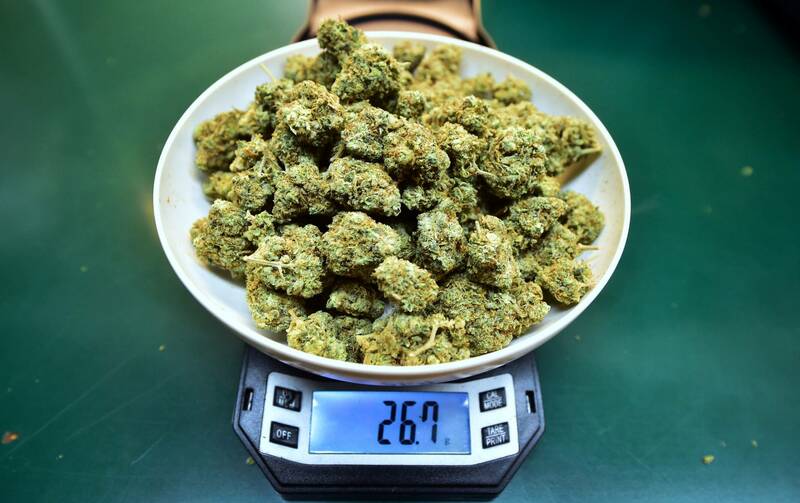 "After six months of legal cannabis sales there is a staggering ... gap between today's tax revenue numbers and what voters were promised," said state Assemblyman Evan Low, a Democrat from Campbell who heads the Business and Professions Committee. "Regulators must adapt before California's lawful cannabis businesses are obliterated by the black market." The slower than expected flow of cash underscores the bumpy roll-out of the nation's largest legal market. "The situation is pretty severe," said Hezekiah Allen, executive director of the California Growers Association, an advocacy group for farmers and businesses. "Most of the state doesn't have access to it," Allen added. "The California marketplace needs significant change if it's going to function ... primarily at the local level." On Tuesday, state regulators meeting in Los Angeles heard a long list of complaints and concerns about California's pot economy, once estimated to grow to $7 billion.